The project 'Focus on Europe' aimed to inform the youth of the Brandenburg region State about three EU funds: EAFRD, ERDF and ESF. Besides providing overall information it also communicated an insight into concrete EU-supported projects. 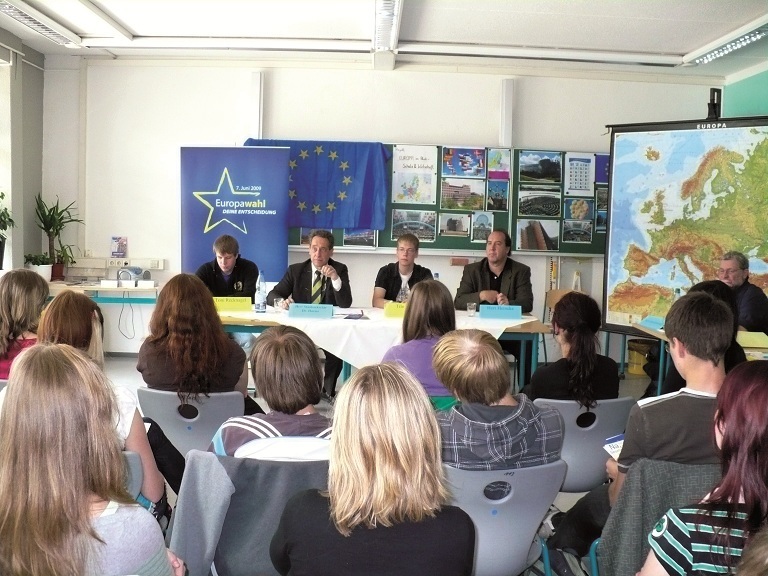 It was recognised that there was an existing need to inform and raise awareness of the youth in Brandenburg on the role of the European Union in their region. The overall aim of the project was to strengthen the Brandenburg youth’s understanding of the importance of the EU-funds in their region and to stimulate their civic participation. Specifically, the project aimed to inform, and to promote the discussion about, the basics of the EU functioning with focus on the European Agricultural Fund for Rural Development (EAFRD), European Regional Development Fund (ERDF), and European Social Fund (ESF). Between 2009 and 2010, the Society for European and Local Politics (GEKO e.V.) carried out the project in the schools in Brandenburg on behalf of the State Government. The central activity of the project was the provision of practical training. The participating young people were informed about concrete project examples directly by project holders, local politicians, and through site visits. The training was also supported by the schools teachers and media events. During the project about 5000 young people benefited from participating in 240 events in 73 schools in Brandenburg. The events were effective and the discussions engaged young persons to reflect more about the role of the EU in their day-to-day life. Due to the success of this project it has motivated coordinators to undertake follow-up actions. The next phase will last until July 2013 and should run 300 events in the Brandenburg schools. This project has shown that with the right stimulation young people can be encouraged to take interest in the role of EU functioning in their area. This project was so successful that its coordinators will undertake follow-up actions with 300 events in schools in the Brandenburg state.